The 21 fl. oz. 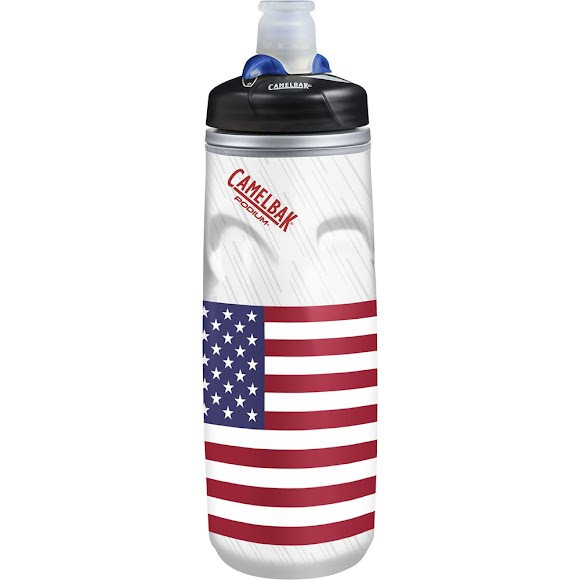 Camelbak Podium Chill Insulated Water Bottle uses double-walled construction to keep water cold long after you start pedaling. Their Flag series offers state flags from across the United States. Double-walled vacuum insulation maintains your drink&apos;s temperature for hours and prevents condensation from collecting on the vessel.